More than half a century after his original dream, designer Warren Platner’s iconic 1966 collection for Knoll has been realised. His ideas have literally been turned into gold – 18-carat gold, that is. Thanks to improved technology, the upmarket design house is now able to offer the collection the way it was originally conceptualised by the American architect and designer (only steel rods were strong and durable enough to support the furniture up to this point). The 50th anniversary collection has been billed as a celebration to the original furniture which has remained popular since the day the first armchair and coffee table were available for purchase. Benjamin Pardo, Knoll Design Director believes the dazzling gold of his stunning new collection very much attunes the furniture with Scandinavian design where glossy metal tones such as gold, copper, bronze etc are able to reflect light and create a serene environment. He added that this ability to play with light also afforded the tables and chairs much more visibility in his opinion. Platner’s furniture beautifully encompasses the ideals of Knoll – a company known for its high-quality, top-of-the-range furniture and contemporary outlook. 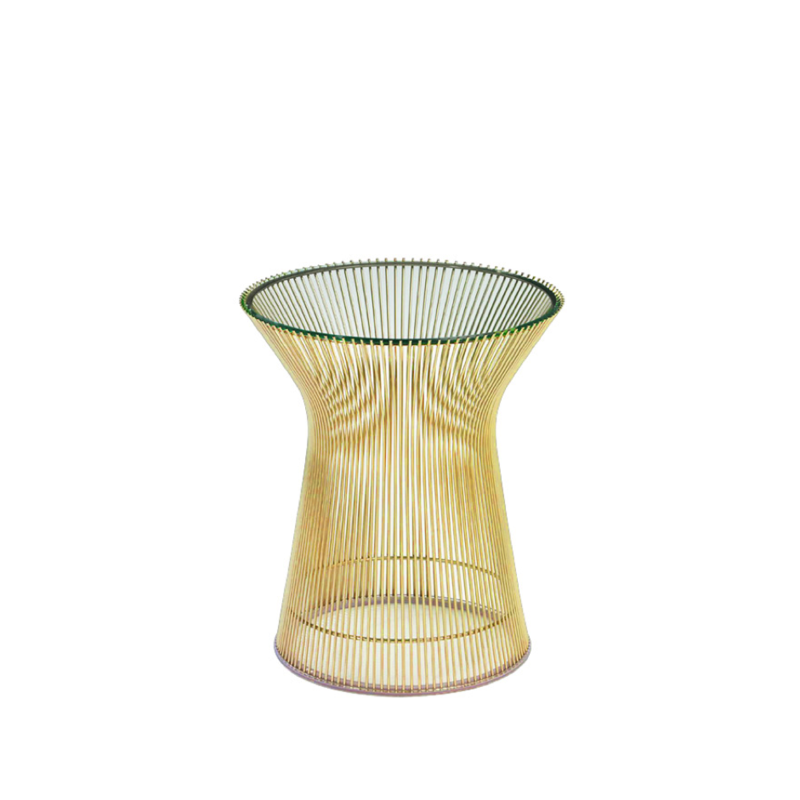 And because of this it was delighted to embrace the Modernist leanings of Platner’s new collection back in the mid-60s. The designer was a fan of the decorative, gentle and graceful style of Louise XV period furniture and looked to recreate a form of luxurious whimsy and shape in his own. 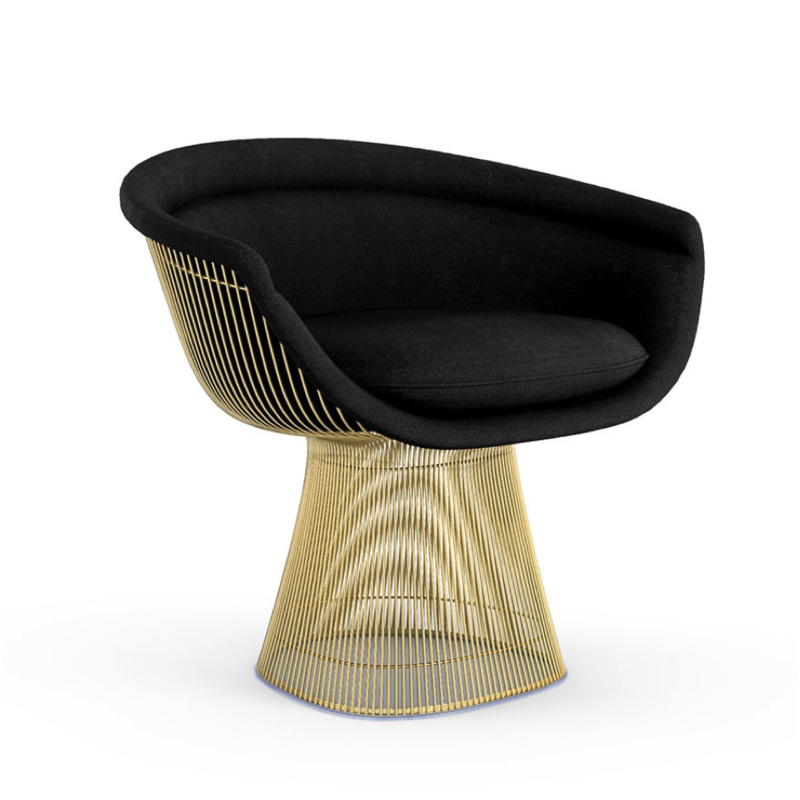 This is particularly evident in the Platner Arm Chair’s smooth hourglass silhouette where there is no separation between the base structure and the seat’s frame. The above are just two of five products which have been reproduced in 18-carat gold by the company. But, of course, Platner was also known for his interior design aesthetic. His work at the former World Trade Centre was described as a ‘modernist Versaille’ thanks to its numerous kaleidoscopic mirrors, bold brass fittings and wood panels. Take a look at these and the rest of our iconic furniture collections today and consider treating yourself in this great designer’s memory.